This Festive Fawn lays on a bed of evergreen. He wears a blanket accented with this year's Assembled in America kelly green argyle print and a red bow around his neck! 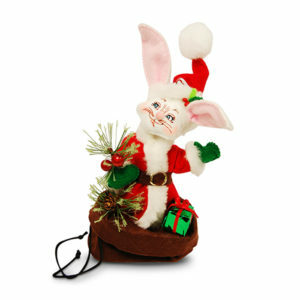 Place this piece with "Frosty Friends" and they'll bring smiles to your guests all winter long!